The Ariat Heritage Contour Field Boot features a full grain leather upper and full leather lining. 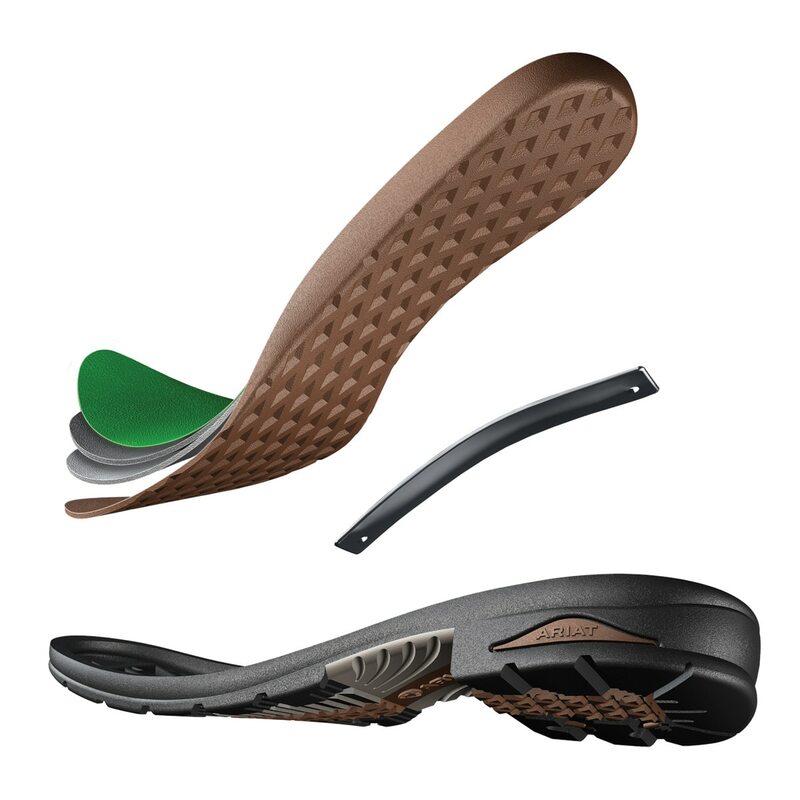 This boot contains a full length elastic panel on lateral side for fit and comfort. 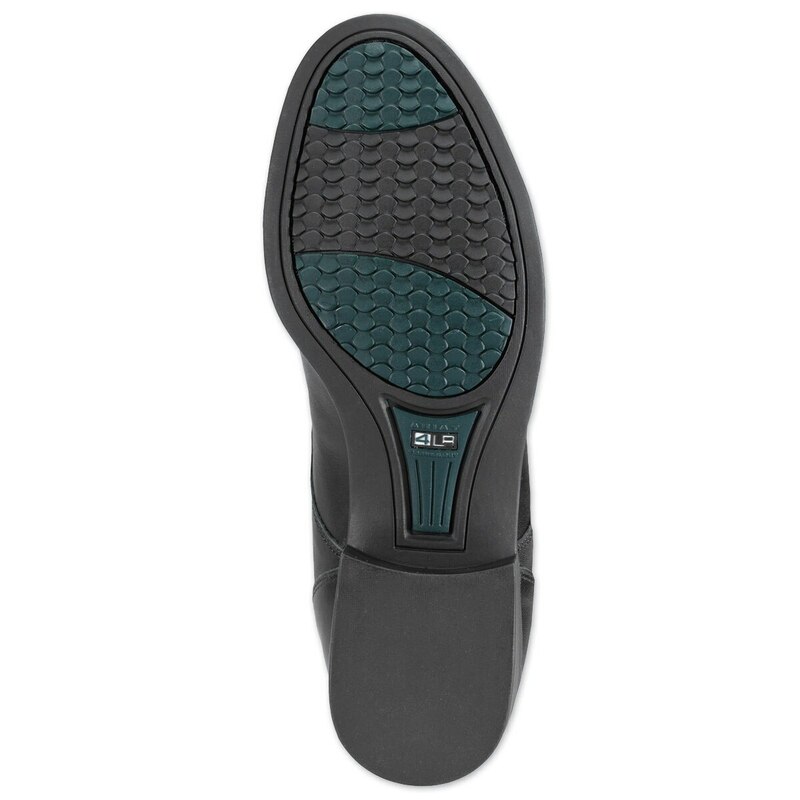 Ariat® Heritage Contour Field Boot is rated 4.5 out of 5 by 223. Rated 3 out of 5 by BootAddict101 from Nice boot, but priced high I have two pairs of Heritage Contour Field boots. I was extremely rough with my first pair that I have used for 8 years. I rode almost daily in them, washed horses in them and rarely cleaned or conditioned them. Yet, those boots are still going strong and the only repairs they may need is a zipper replacement soon. My replacement boots have only been ridden in twice and right away I noticed that the quality of the leather is not as impressive as it once was. The leather is extremely thin, making it much less durable. After two short rides, this boot has creased all the way up the leg. I can't imagine these holding up for regular riding. 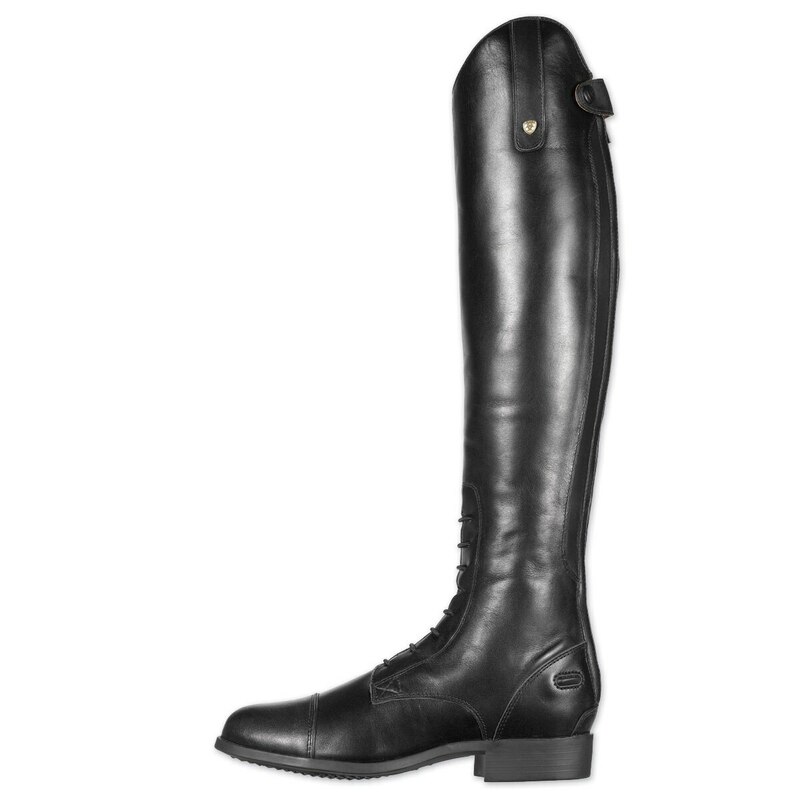 Really disappointed as I am a big fan of Ariat's previous model of these boots, which lasted me well over the years. I think this boot is okay, but certainly not worth the price considering other boots of similar quality and durability are sold cheaper. 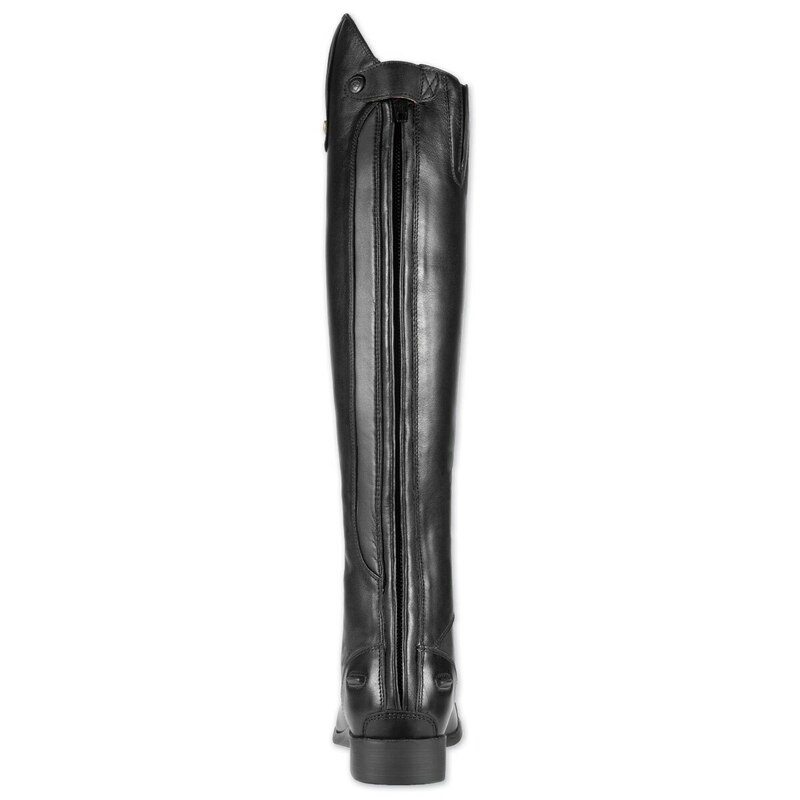 Rated 5 out of 5 by Amanda F from Excellent Style, Quality and Price Shopping for tall boots is hard. 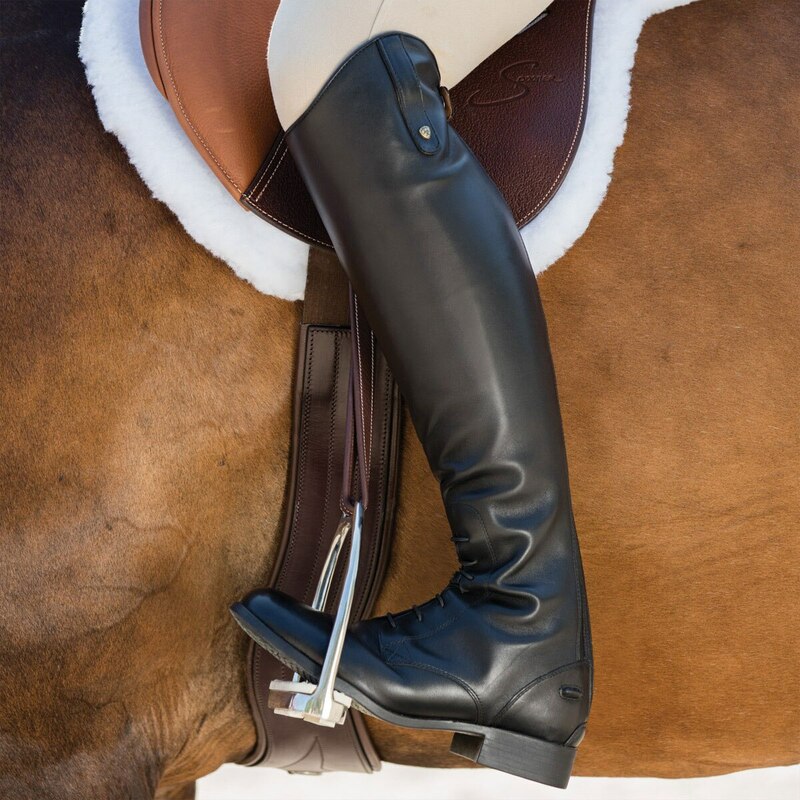 Boots need to be comfortable, durable, a balance between supple and strong and be at a price point where you are ok if you end up mucking a stall out in them. These boots hit all of those points for me. I needed new schooling boots and thought I would try these out since the price was so good. I was pleasantly surprised at how well they fit, how nicely they are styled and how durable they are. 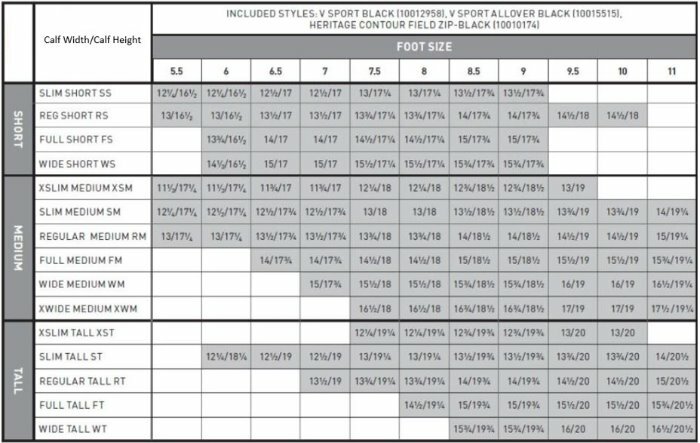 I wear a size 7.5 in most brands, but I always wear a size 7 in Ariat. The measurement chart is true to size. 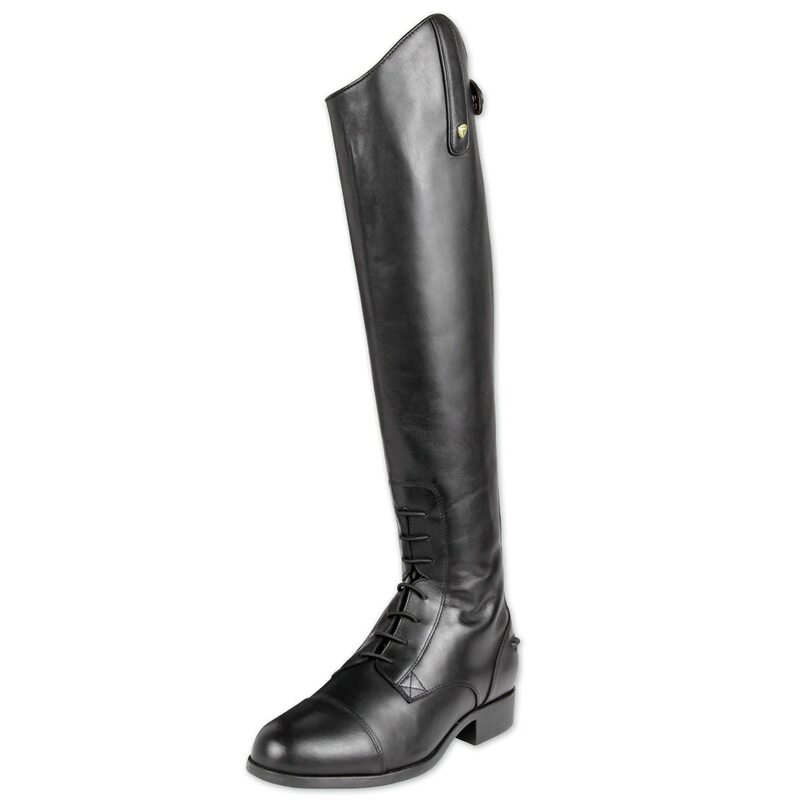 I highly recommend these boots both for the established rider needing something to hold up to lots of use, or for the new rider searching out their first pair of affordable boots. You really can't go wrong with these. Rated 5 out of 5 by Ashley from Well made, comfortable I bought these a week before a show, I broke them in for the most part in a week. I love these boots! They are comfortable, clean up well, and looks fantastic! Rated 4 out of 5 by Dawn from Soft leather, nice footbed I bought the extra wide calf which I probably should have measured but otherwise the boot fits well and performs perfectly. Rated 5 out of 5 by Rroland from Best boot around I bought these boots 4/5 years ago and JUST now needed to buy a new pair. Not because my old ones ripped but because my old ones just weren’t show quality anymore. Rated 5 out of 5 by LJTH from Great Look! Still wearing them in but very happy so far. The right one has been so comfortable from day one and the left one is flexing nicely and as the leather gives the comfort level increases. Rated 5 out of 5 by Kathy from Very comfortable I wore my new boots around the barn a few times before riding in them. When I rode for the first time, the boots were comfortable. I've worn Ariat paddockk boots for years and they always hold up well and I expect these tall boots to do the same. 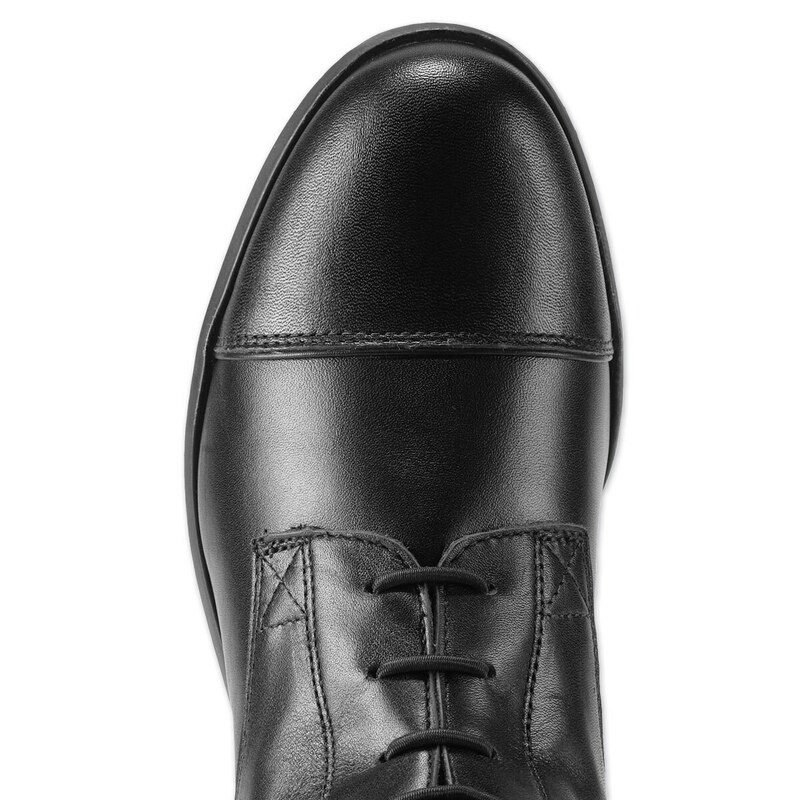 I'm an older rider with "old feet" and ordered a half size larger than I wear in a street shoe and they fit perfectly.